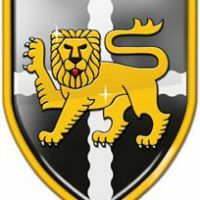 A LAST-GASP bonus point try and a conversion from the touch line rubber-stamped a crucial win for Cambridge and denied Esher an equally critical losing bonus point at Grantchester Road. Jake McCloud opened the scoring for the Blood & Sand from Jamie Ayrton's muscular break. Ben Penfold added the extras to begin his perfect afternoon off the tee. Esher, though, rallied and Karim Irving sped through to touchdown in the corner and Graham Logan added their second. Both conversions went astray, the latter cannoning back off the right-hand post. Those misses by Paul Roberts proved expensive – he left seven points out on the field all told – though his second-half penalty did stretch the visitors' lead. A point behind, Cambridge came back strongly, skipper Ean Griffiths forcing his way over with just over an hour gone. Kwaku Asiedu provided try number three with a storming finish, putting his side well ahead. The visitors weren't finished. Roberts broke free into open prairie to touch down under the posts, his perfunctory conversion leaving Esher a single point adrift with a minute left to play. But Richie Williams' side thundered back for just their third five point win of the season, Matt Meek forcing his way over at the death, leaving the way open for a perfect afternoon for Penfold.